Boulder Junction's Jon Dobbs, McCarthy's Jacob Shultz, Randy Samz, and National Park Service ranger Stephens Harper. The original ambulance during a 4th of July parade a couple of years ago, before it was vandalized in 2017. 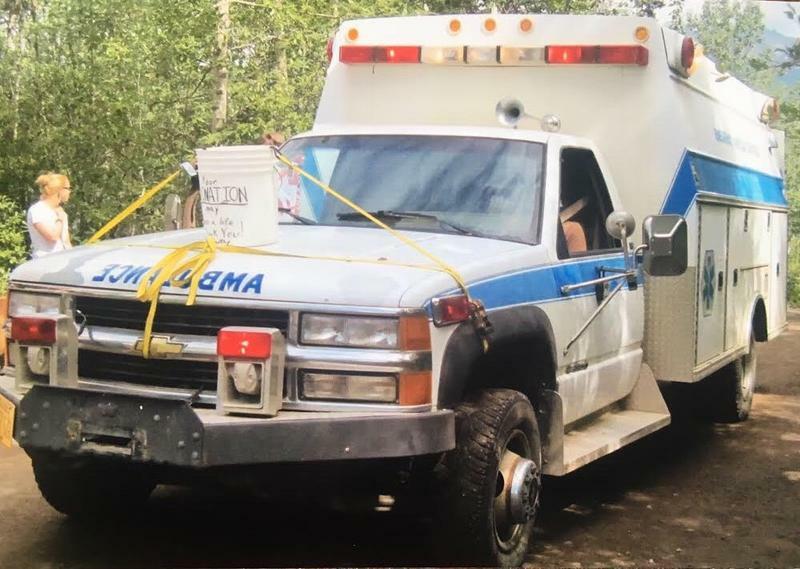 The new ambulance in McCarthy, AK. 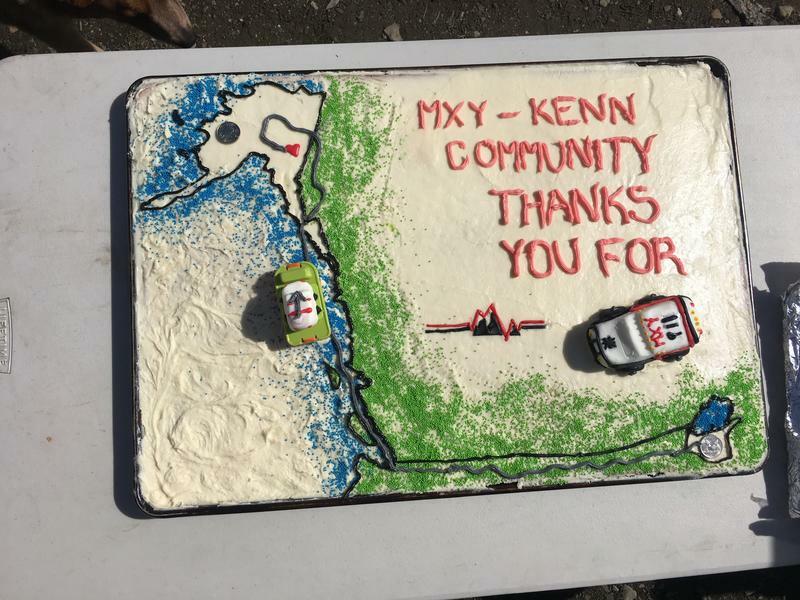 A cake for Jon Dobbs from the town of McCarthy, AK. Enter the town of McCarthy, Alaska. The population of which was just 28 at the 2010 census, actually down from 42 in 2000. In the summertime months, the population increases to 200 - 300 people with seasonal workers, and there are even more people when you count tourists. Still, it’s a very small town. You may wonder what McCarthy, Alaska has to do with northern Wisconsin. Our most recent connection with the town is a guy named Jon Dobbs. Dobbs first visited McCarthy in 2014. When Dobbs isn’t traveling around Alaska, he lives in Boulder Junction with his girlfriend, Jaci Pruitt. In September of 2017, Dobbs went to McCarthy again. He was walking out of the saloon with Pruitt one evening and he noticed a flyer posted on the main street of town. 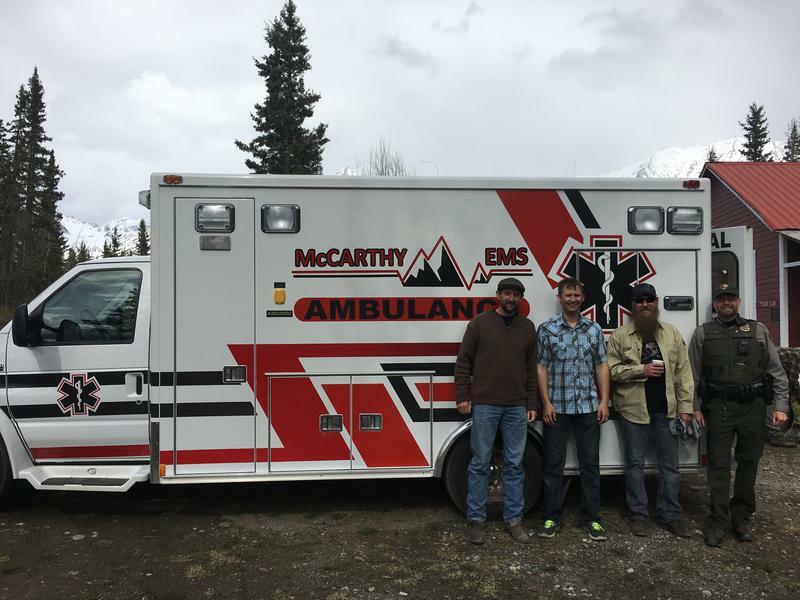 The flyer was looking for information on who had vandalized McCarthy’s only ambulance, which doubled as kind of a traveling clinic for the town. The flyer showed a picture of the center console where the console was just a mess of wires. Dobbs has spent 20 years as a volunteer with the Boulder Junction Fire Department. Both he and Pruitt were very disturbed by the idea that someone would vandalize something as important as an ambulance in such a small town. This is a fairly common scenario. Traveling somewhere, being inspired by the people around you, wanting to help out a community. What is not common, is what happened next. When Dobbs got back to Wisconsin, he started calling around town to see if someone was selling an ambulance. He found one in Plum Lake. 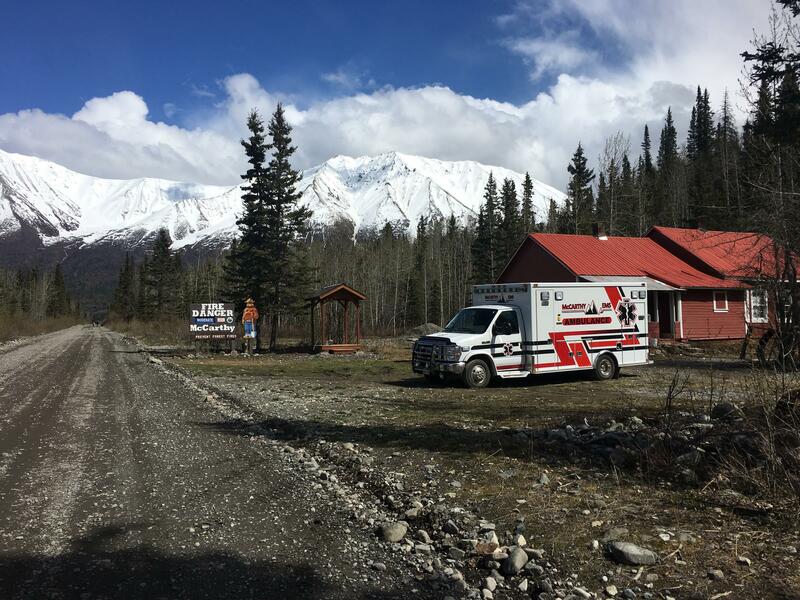 Once he had the ambulance, Dobbs actually had to get it to McCarthy, Alaska. So Dobbs and his friend, Randy Samz, put two motorcycles in the back of the ambulance and set out for McCarthy. Once they started getting into the area around McCarthy, they started seeing people. When they got to McCarthy, the town had set up a big potluck lunch for Dobbs and Samz. One of the people waiting at the potluck was Jacob Shultz. Shultz is the EMS manager for McCarthy. The two men had never met in person, but they had been in contact for months about the ambulance. Shultz is part of a group of EMT’s in McCarthy that share a dispatch phone to respond to emergencies. He’s also the guy in charge of a project that started about five years ago to upgrade McCarthy’s emergency medical services. Losing the ambulance had been a huge blow to the entire effort. Jon Dobbs says he’s out of pocket about $20,000 between the ambulance and the travel, but he says the town’s gratitude has more than paid him back. He says all he did was give some well-deserving people what they needed. Back in McCarthy, Jacob Shultz is still in disbelief.